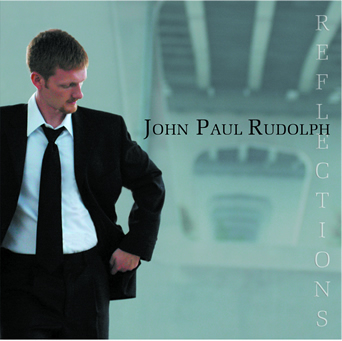 “Reflections” by the stunning vocalist John Paul Rudolph is a heart-warming reinvention of easy-listening and modern opera classics! Featuring break-through hits like “You Raise Me Up,” John Paul does an excellent job at recreating timeless classics made popular by icons Josh Groban and Michael Bublé, and favorites from popular musicals such as Phantom of the Opera. With absolutely no hesitation, any listener can assert that John Paul’s voice is the biggest commodity of “Reflections.” His warm, soothing timbre, likened to the Broadway vibes of Josh Groban, radiates sincerity, passion, and timelessness. These songs required a very wide range and complete vocal and pitch control, all requirements that seem to come effortlessly to this extremely talented musician. What’s more, “Reflections” is composed with articulate and masterful instrumentation – beautiful pianos take the main stage, accentuated by emotion-invoking string symphonies and acoustic arrangements. Wrapped up with solid professional production, “Reflections” comes across as the complete package. Fans of Broadway and musicals, as well as artists like Josh Groban, will fall head-over-heals for this inspiring release!